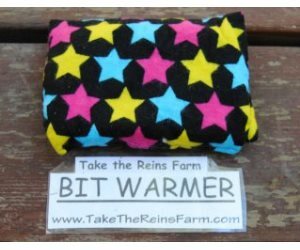 Really nice fleece horse polo wraps. Brand new, well made with 2 inch industrial strength sewn velcro. 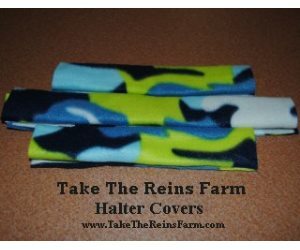 Whether you are a barrel racer, reiner, jumper, dressage or a trail/pleasure rider, these are the polo wraps for you! THESE ARE POLO WRAPS THAT I MAKE. THEY ARE VERY UNIQUE AND COLORFUL FOR THAT SPECIAL HORSE AND RIDER! LARGE SELECTION OF COLORS AND PRINTS AVAILABLE SO YOU CAN MATCH UP YOUR SHIRT OR SADDLE PAD. MY POLO WRAPS HAVE BEEN SEEN AT SEVERAL BREED NATIONAL AND WORLD HORSE SHOWS, PLUS MANY PARADES! 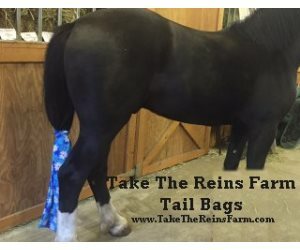 Why buy from Take the Reins? 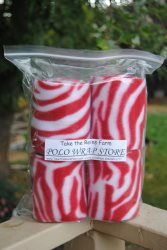 - polo wraps are available in miniature, yearling, pony, arab/large pony, horse and warmblood/draft horse sizes! - and I enjoy making my horse products for other horse owners to enjoy too!